Brando 'Wildboy' Yelavich stunned us all when he circumnavigated the entire coast of New Zealand completely on foot over 600 days. But he left out the hardest bit - Stewart Island. Over 31 days, Brando took on one of the hardiest and most unforgiving parts of our wild country. And this time,... read more completely solo. Experiencing epic highs, the lows hit Brando just as hard. A notebook he carried along the way charts the brutality of the island's landscape. Caught in a biting wind, with hail and snow swirling around, one entry begins: 'Just in case this is the last thing I ever write, I want everybody to know how much I love them. This is my last hurrah - I enjoyed it all so much.' 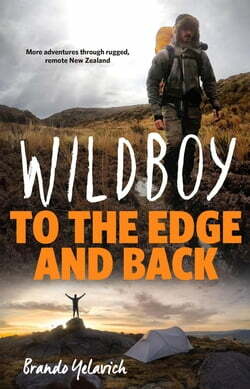 To the Edge and Back is an exhilarating, nail-biting account of the Brando's solo exploration of the Deep South. An adventure tale of grit and determination, practical survival guide and inspirational story about chasing your dreams, it's the perfect read for any armchair adrenalin junky.